One of my favorite parts of the summer is the Public Theater’s Shakespeare in the Park series. One of my least favorite parts of the summer is waiting in line for free tickets to Shakespeare in the Park. So Stage Rush is swooping in to relieve some of you Rushers from the agony of that line in Central Park, and bringing you the joy of Shakespeare in the Park without the hassle. 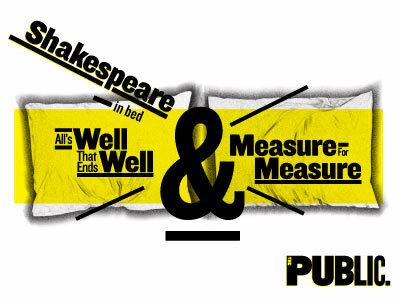 We are giving away a free pair of tickets to either All’s Well That Ends Well or Measure For Measure—the show is winner’s choice. The giveaway will end on Friday, June 17. I will notify the winner through email, Facebook, and/or Twitter private message. All participants must be able to see the show by July 16, 2011. Tickets must be reserved at least two days in advance. The tickets are not valid for resale. Tickets are provided by the Public Theater.